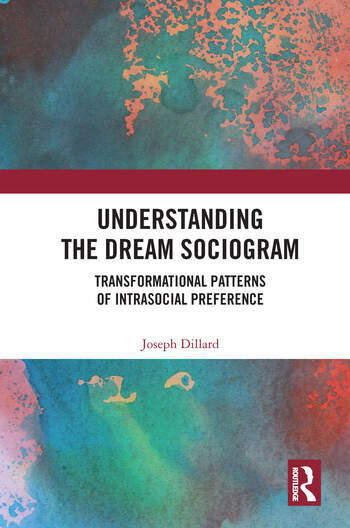 Understanding the Dream Sociogram, the complementary volume to Dream Sociometry, explains how to take sociometric data from dreams and life issues and create a Dream Sociogram, to reveal patterns of intrasocial dynamics that clarify conflicts and reveal pathways to transformation. By identifying collectives of emerging potentials, or perspectives and relationships that are attempting to manifest higher order integration, this book teaches readers to stand back from personal and societal dramas and discover creative contexts that show an effective way forward. Unique in its approach to analysing dreams, the book introduces a methodology that teaches multi-perspectivalism as a way of resolving pressing life issues. It argues that humans, as naturally psychologically geocentric, need to evolve into a multi-perspectival world view and understanding of self. Exploring how to use the sociogram to deepen this understanding, the book offers practical examples and detailed real-life applications. Its integral and transpersonal applications of Moreno’s sociometry are novel and substantive in their addition to this field of research. The transpersonal results can be effective in reducing anxiety-based disorders, nightmares and phobias, as well as post-traumatic stress disorder and depression. As such, this book will be of interest to researchers in the fields of psychodrama, sociometry, group psychotherapy, transpersonal, experiential and action therapies, as well as postgraduate students studying psychology and sociology. Joseph Dillard is a psychotherapist and author of over 20 books on transpersonal development. He is the creator of Integral Deep Listening, a multi-perspectival integral life practice.